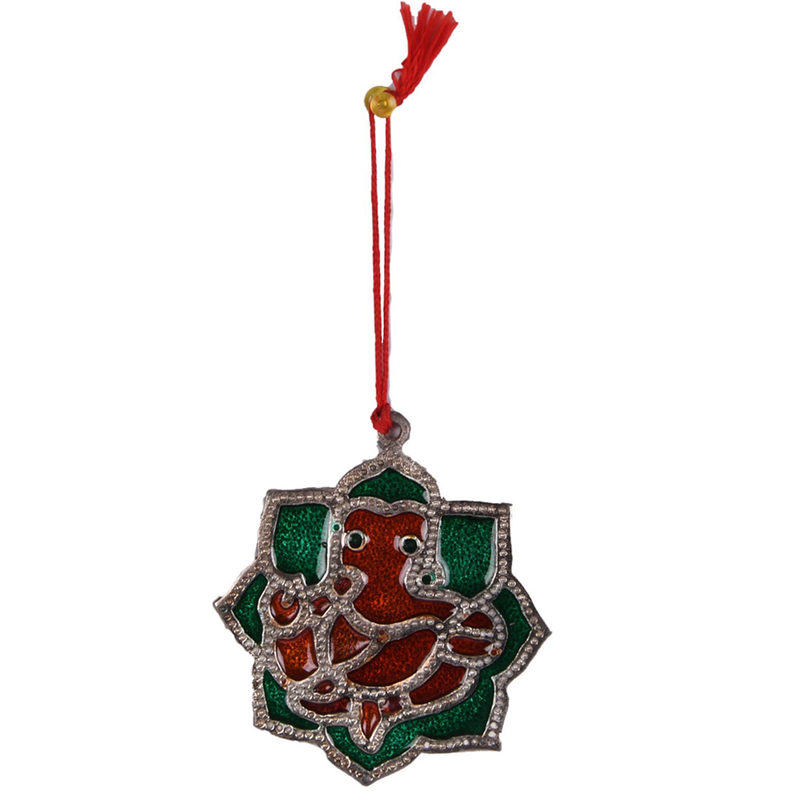 This decoative hanging of lord ganesh is made from oxidised metal, and is available for the best price. 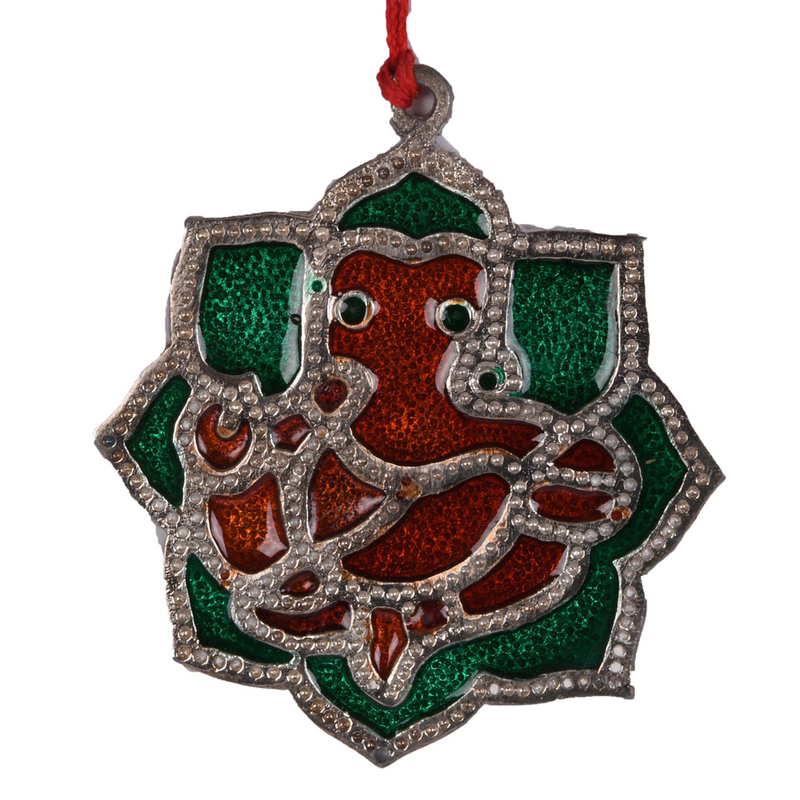 This ganesh decorative hanging is made from oxidised metal which means it will not be affected by the forces of nature, and corrosion will be Read More..kept to a minimum. The design of the hanging makes it possible for it to be a singular piece. The outer part of the hanging is a type of enclosing border, which is coloured in a green hue. The inner piece is the designed to be percieved as lord ganesh, and is coloured in a reddish hue, with silver outlines. A read thread is attached to the top to let it hang. Show Less..